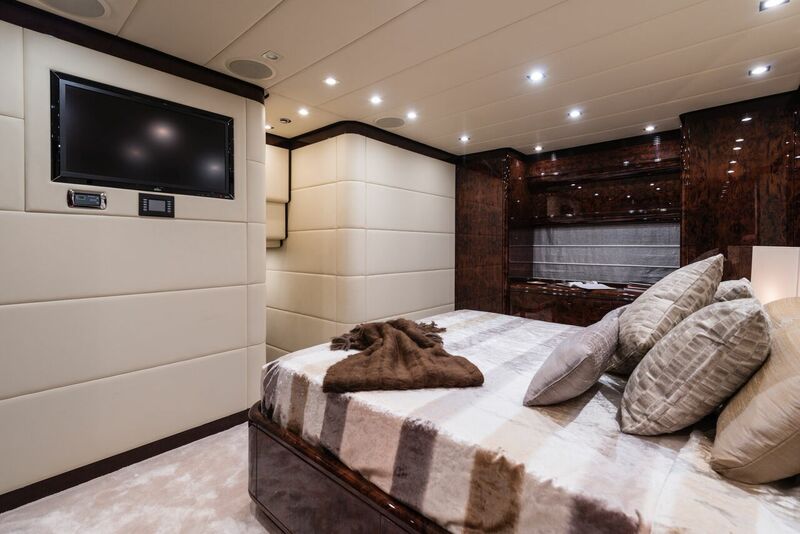 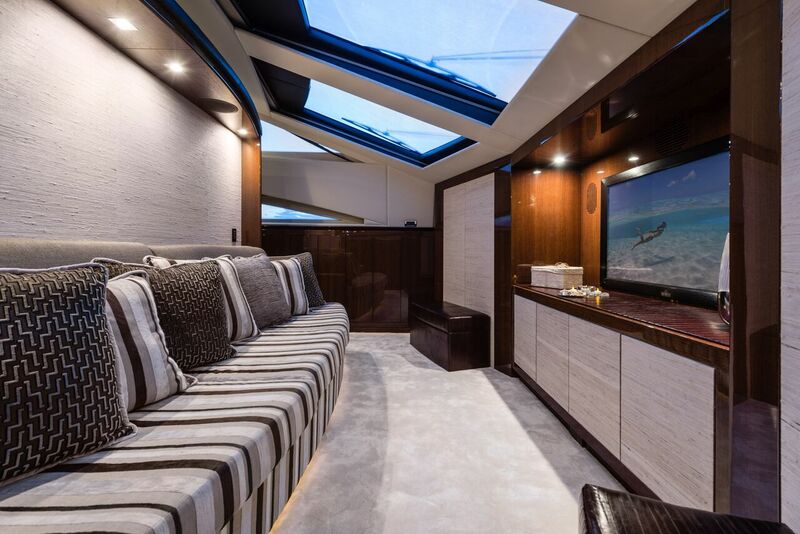 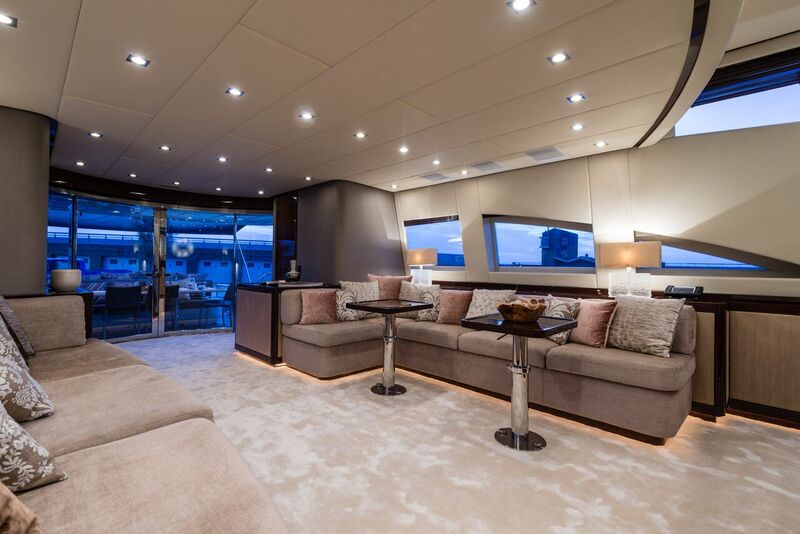 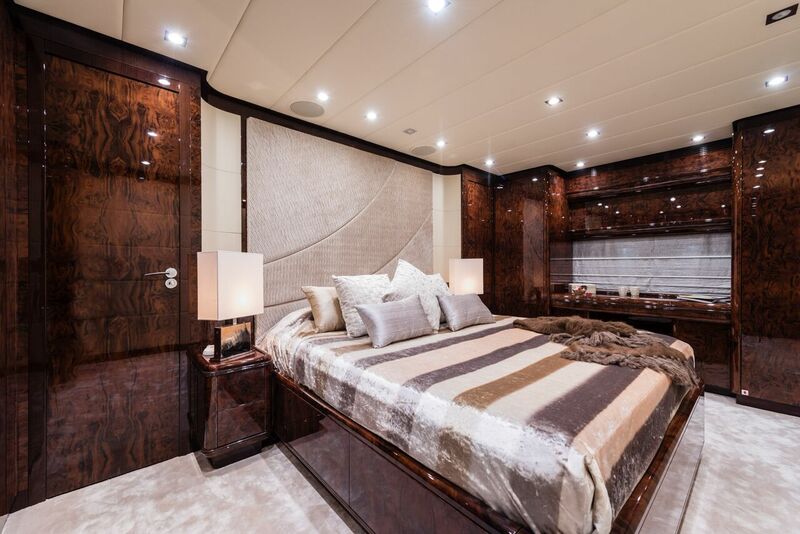 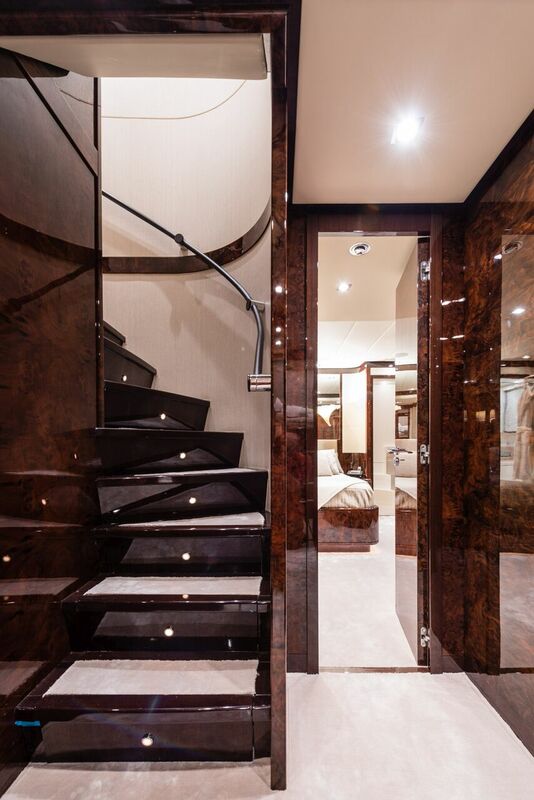 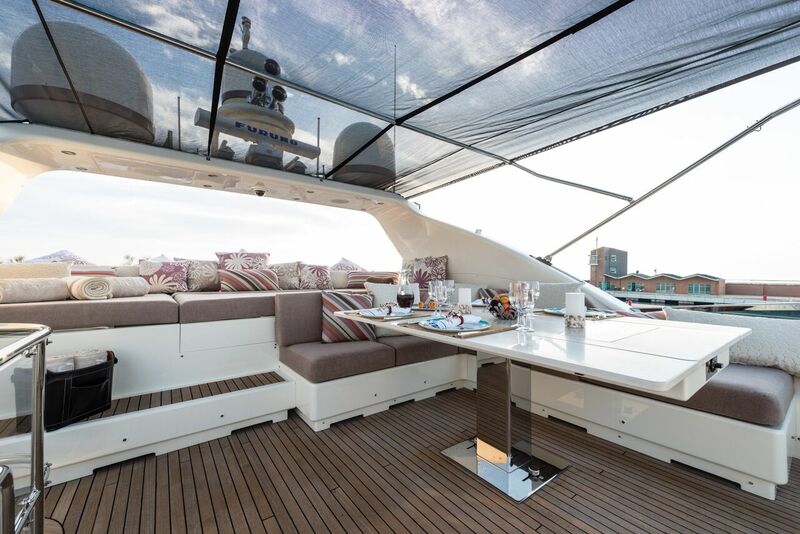 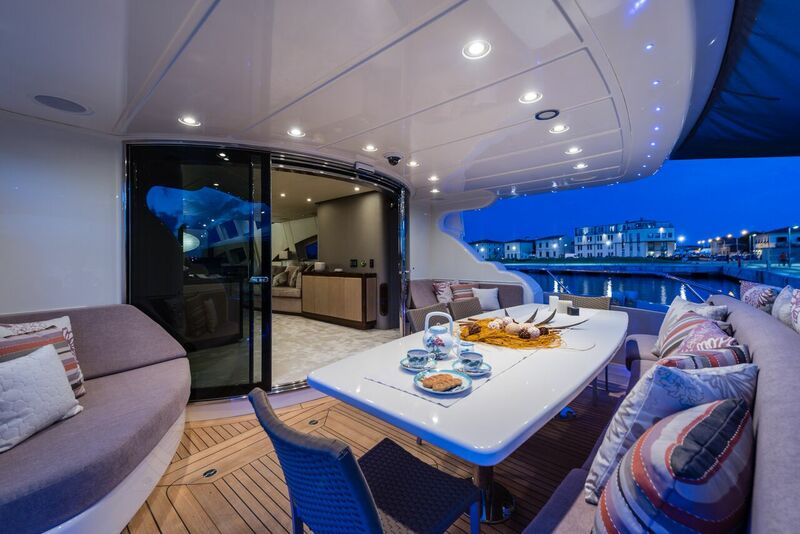 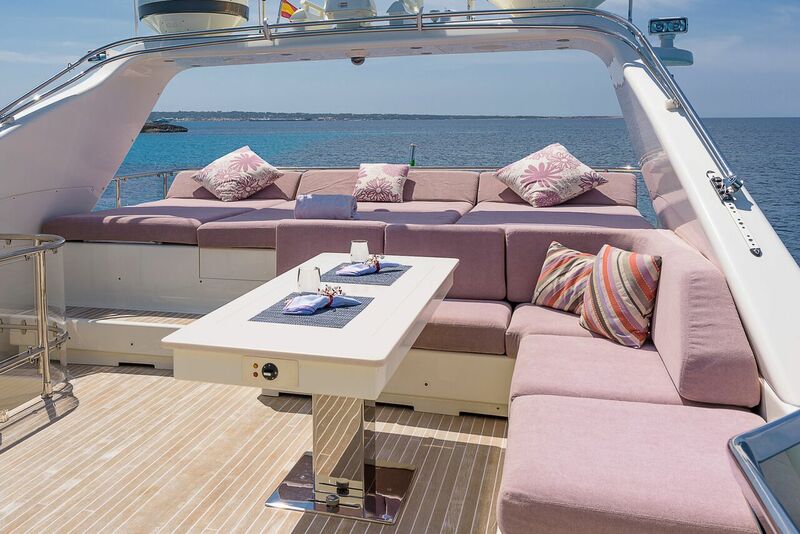 This luxurious yacht has a total of 4 cabins that provide a capacity for up to 8 guests, perfect for your family holidays or for business charter. 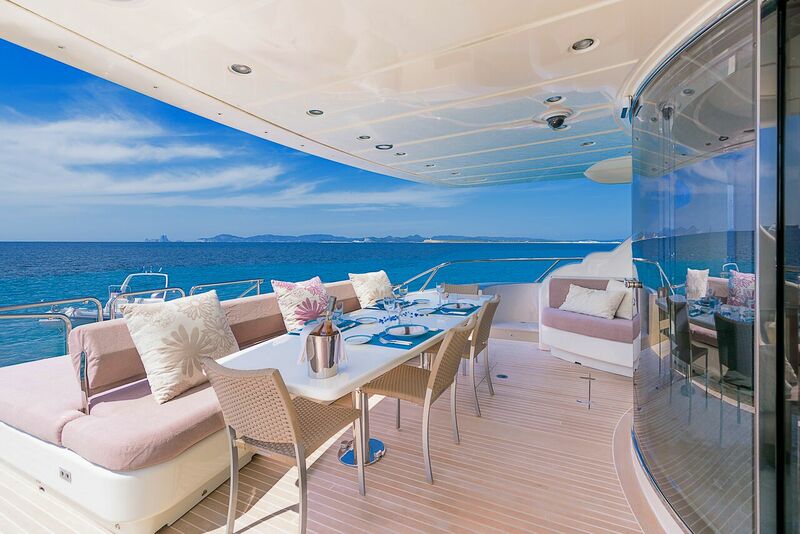 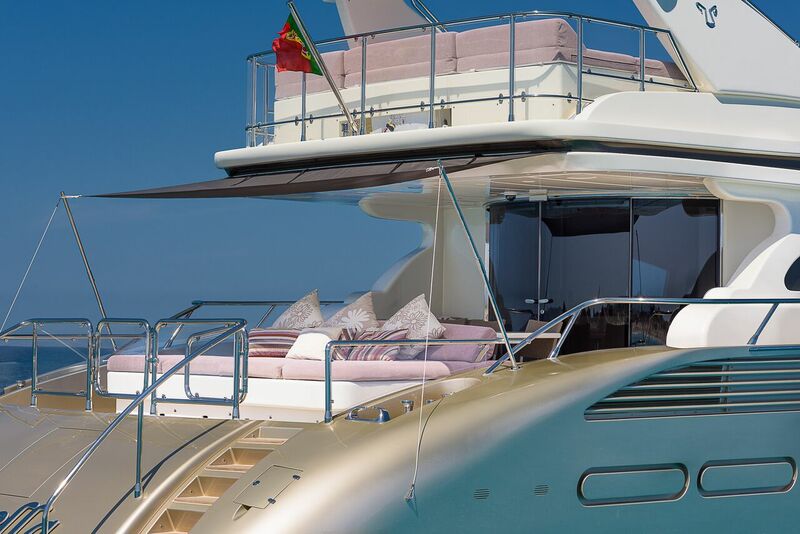 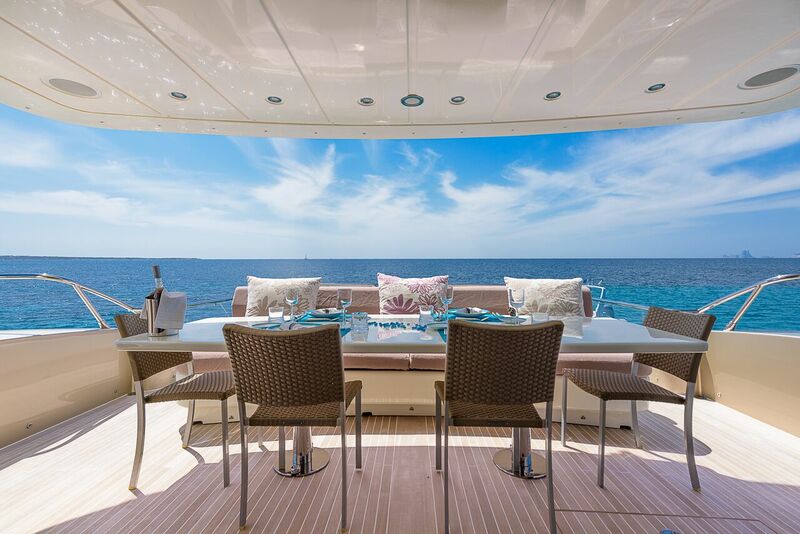 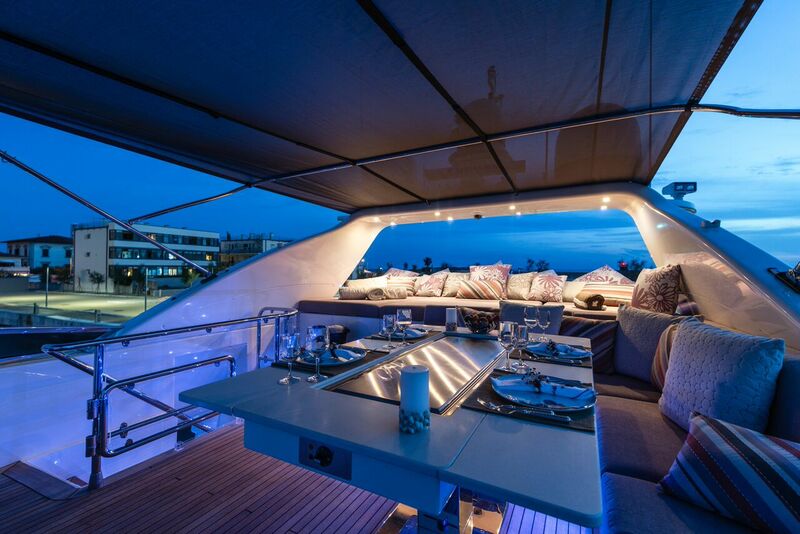 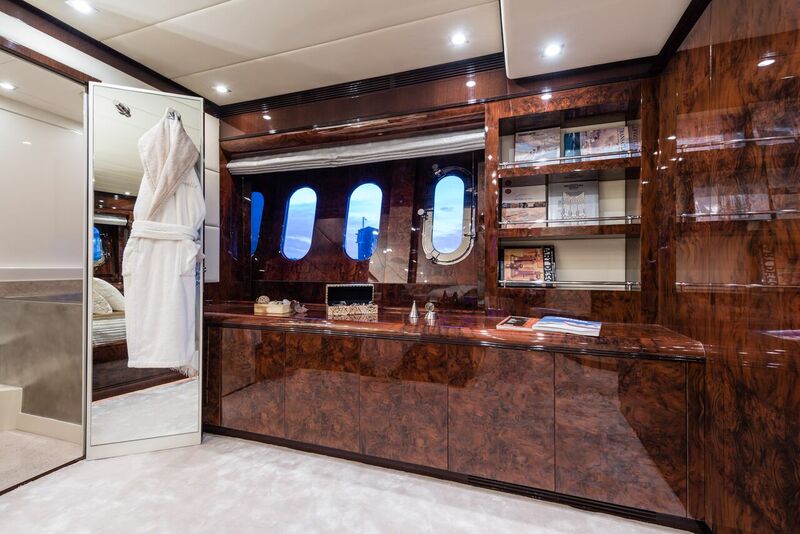 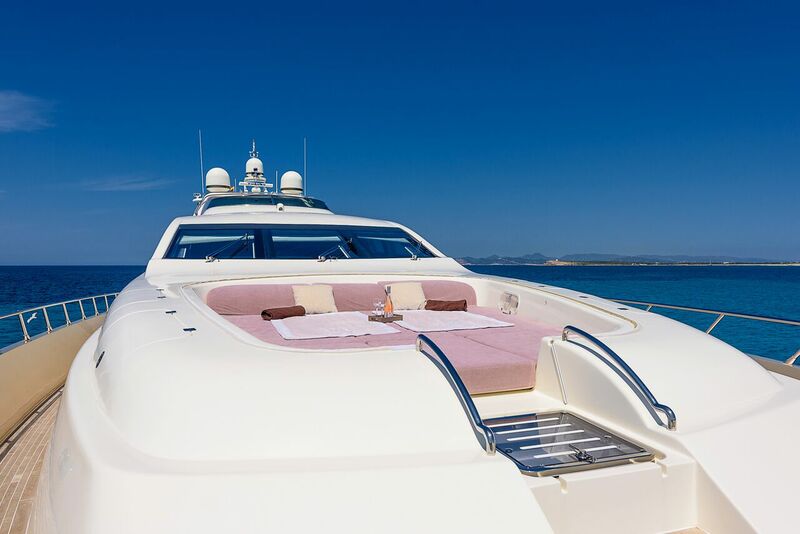 Rent this Super Yacht of 32 meters in length in Ibiza Comfort and comfort are the most outstanding features of this yacht, it has a wonderful and luxurious living room where every element has been taken care of down to the smallest detail. 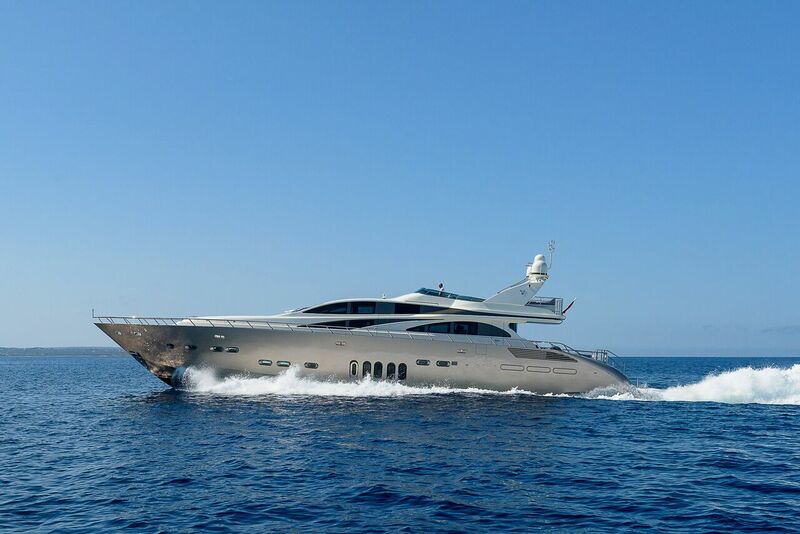 Thanks to its powerful engines this Leopard 32 can reach a maximum speed of 40 knots and a cruising speed of 30 knots and thus guarantees speed for your travels in the islands of Ibiza and Formentera.